The first thing that comes into our mind when we think of summer, is the sun. The sun is just not a source of light and life, but these rays also do have some negative effects in the form of UV Rays. These rays are the causes for certain skin conditions that sometimes get too harmful to the extent of generating a skin cancer. This article will help you understand the effects of UV rays and what precautions you need to take for keeping yourself safe from them. The Sun’s radiation transmitted in the form of waves or particles at distinct frequencies and wavelengths is known as Electromagnetic Spectrum. The electromagnetic radiation is an outcome from this spectrum. This spectrum is divided into seven different regions in the order of increasing frequency and decreasing wavelengths. The standard designations of these regions are Radio waves, Microwaves, Infrared (IR), Visible Light, Ultraviolet (UV), X-rays and gamma-rays. In 1801, Johann Ritter conducted an experiment to investigate the existence of energy beyond the violet end of the visible spectrum. Knowing that photographic paper would turn black more rapidly in blue light than red light, he exposed the paper to light beyond violet. Sure enough, the paper turned black, proving the existence of ultraviolet light. Ultraviolet (UV) light falls in between the Visible Light and X-Ray range in the EM spectrum. It has wavelengths of about 380 nanometers (1.5 × 10−5 inches) to about 10 nm (4 × 10−7 inches) and frequencies of about 8 × 1014 to 3 × 1016 cycles per second. According to the U.S. Navy’s Ultraviolet Radiation Guide, “Radiations with wavelengths from 10 nm to 180 nm are sometimes referred to as vacuum or extreme UV.” These radiation wavelengths are obstructed by air, and they can only propagate in a vacuum. Commonly subdivided into UV-A, UV-B, and UV-C, the ultraviolet rays take an origin from the Sun full spectrum of ultraviolet radiation. Although this classification is used mostly in Earth sciences, it also gives an understanding of the effect of UV rays in health science. Of the three types mentioned, UV-C rays are the most harmful and are the ones entirely absorbed by the atmosphere. UV-B rays, on the other hand, are the harmful rays that cause conditions like sunburn, DNA and cellular damage through the skin. The UVA wavelength is the most prolonged one among the three at 320–400 nanometers (nm). These rays are estimated to cover up to 95% of the UV radiation that reaches the Earth’s surface. These rays are the only ones that get through the ozone layer and reach the earth. The intensity of these rays is relatively equal throughout the year during the day time. UVA rays are so impactful that they also cause effects in some clothing, clouds and even glass. The wavelength of UVB is 290-320 nm. The intensity of these rays varies by location, season, and time of day. UVB rays, the principal reason for skin reddening and sunburn. They tend to damage the skin’s most external epidermal layers and can also influence the development of skin cancers. These rays also contribute to photoaging and tanning. Unlike UVA rays, these rays do not always stay in the atmosphere all around the year. They are most active during summer in the northern hemisphere or whenever the parts of the earth’s orbit are closest to the sun. Nevertheless, it always safe to stay away from the reflective radiation that these rays propagate through water or snow. While the most amount of effect to the disease is by UVA rays, UVB are also commonly blamed for it to occur. The wavelength of UVC rays are 200-290 nm – the shortest wavelength among the three and also the most dangerous ones. However, these rays hardly manage to reach the earth’s surface as the ozone layer entirely absorbs them. 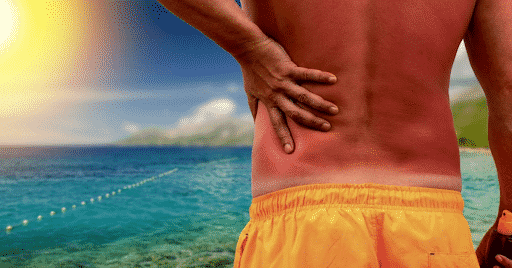 What Are The Effects Of UV Rays? It is a well-known thing that exposure to ultraviolet (UV) radiation is a significant risk factor for most skin cancers. People who tend to get a lot of UV exposure are always at as are at higher risk for skin cancer. Skin cancers begin when the damage attacks the DNA of the genes that control skin cell growth. UV rays are a primary cause for this damage. The strength of these UV rays reaching the ground depends on various factors, such as the time of the season of the year, the distance from the equator, the altitude, clouds and from the reflection of the surfaces it hits on. Did you know that there is no such thing as a healthy tan? The skin creates a dark-colored pigment, melanin, as a shield against further damage from UV radiation. This darkening gives protection against various skin conditions like sunburns. However, it is not a suitable defense against long-term UV damage such as skin cancers. All the melanin produced in defense of these rays is just a sign that the skin has been damaged and it has attempted to preserve itself. 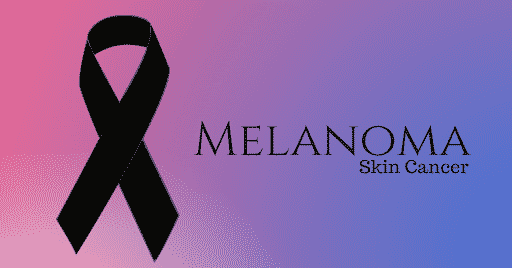 Immediate pigmentation with darkening – where the pigment called melanin that is already present in the skin darkens on exposure to UVA. This instant tan starts to fade within a few hours after termination of exposure. Delayed tanning – where about three days of being exposed to the rays, new melanin is generated and distributed between the topmost skin cells. This type of tan can stay on for several weeks. Higher dosages of UV radiation destroy most of the skin cells in the uppermost skin layer. The cells that do not get destroyed, still suffer some amount of damage. 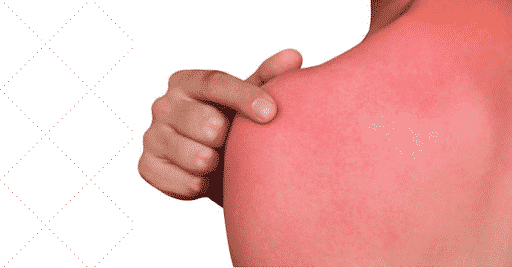 In the mildest form, a sunburn causes reddening of the skin layer called “Erythema”. This reddening appears quickly after the exposure to UV radiation and approaches a maximum depth between 8 and 24 hours. After a few days, it fades over. A strong sunburn has the power to cause the skin to blister or peel, which is not only distressing but also leaves a white and new skin underneath it which is unprotected and more prone to UV damage. A very little percentage of the population has this ailment that makes skin particularly sensitive to the sun’s UV rays. A bare minimum dose of UV radiation is more than sufficient to activate an allergic effect like a rash or harsh sunburn. 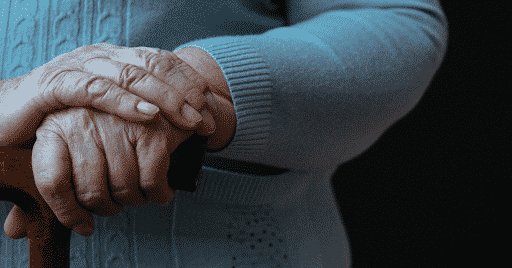 Photosensitivity is commonly associated with the application of certain medications that include non-steroidal or anti-inflammatory drugs, painkillers, antibiotics, tranquilizers, oral anti-diabetics, and antidepressants. Some cosmetic and food products like perfumes or soaps may also include ingredients that provoke or aggravate the condition of photosensitivity. The exposure to the Sun makes it prone to the aging of skin due to a combination of several factors. UVB rays stimulate cell proliferation in the on the outer layer of the skin. As and when there is an increase in the production of cells, the epidermis swells. UVA rays penetrate the deeper skin layers disturbing the connective tissue leading to the loss of elasticity of the skin gradually. Wrinkles and sags are the expected results of this loss of elasticity. Cancer is the uncontrolled extension of abnormal skin cells. The rapid growth caused by cancerous cells results in tumors, which are either malignant (cancerous) or benign (noncancerous). The three main types of skin cancer are squamous cell carcinoma, basal cell carcinoma, and melanoma. Sounds surprising right? Although we all know the adverse effects of UV rays, there are also a few, but important positive effects of these rays. 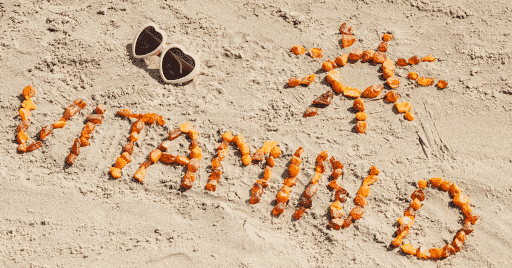 UV rays from the Sun is required by our bodies to absorb enough vitamin D. Vitamin D, is a well-known nutrient that is responsible for strengthening bones and muscles, and maintaining the body’s immune system. Researchers suggest that sunlight stimulates the pineal gland that produces tryptamines in the brain that improves our mood. How To Stay Protected From UV Rays? People usually think about being protected from the sun only when one spends a day at the beach or pool. But the exposure to the sun adds up day after day, and it happens every time you are in the sun. It is impossible to avoid the sun altogether. It would also be stupid to stay inside on a bright summer day when you can either be on a beach or our with your friends for a long drive sipping coconut water. But getting too much of the sun can be dangerous. There are specific steps you can consider taking to limit your exposure to UV rays. Just lingering in the shade is one of the best ways to narrow down the UV exposure. A self-evident but significant way to limit your exposure to UV light is to avoid being outdoors in direct sunlight for too long. It is particularly important to do this between the hours of 10 am and 4 pm when UV light is most active. If you are unsure about how intense the sun’s rays are going to be, use the shadow test: in case your shadow is shorter than you, the sun’s rays are the strongest, and it’s essential to protect yourself. The UV rays that strike the ground all year, even on hazy or cloudy days, have the strength to change. 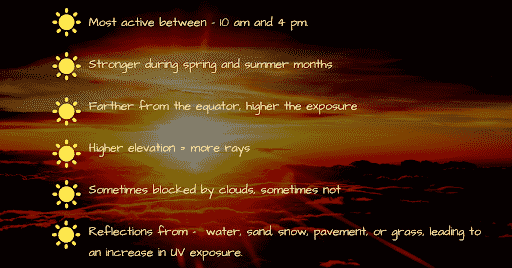 UV rays are more intense during spring, even before the temperatures get hotter. People in a few areas may get sunburned when the weather is still cold as they may not think of protecting themselves if it’s not hot outside. Be especially careful at the beach or in areas with snow because water, snow, and sand reflect sunlight, increasing the volume of UV radiation you can get. UV rays can even reach below the water’s surfaces, so you can still get a burn rash even if you’re in the water and feeling chilled. Some UV rays can even pass through windows. A typical office, car and home windows block most of the UVB rays but a smaller portion of the UVA rays, so even if you don’t feel you’re getting burned your skin may still get damaged. Tinted windows help to block more UVA rays, but this depends on the type of the tinting. (If you do have car windows tinted, check local laws, as some states regulate these burningted windows.) UV radiation that comes from windows probably doesn’t pose a high risk to most people unless they spend long periods close to the window that receives direct sunlight. If you are planning to be outdoors, you may require to test the UV Index for your area. 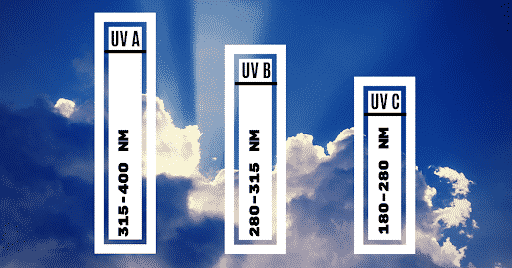 The UV Index generally can be found in the TV, radio, online forecasts, and local newspaper. When you are out in the sunlight, wear clothing to cover the surface. Clothes provide different layers of UV protection. Long pants, long skirts, and long-sleeved shirts cover the most surface and are the most protective. Dark colors generally offer more protection than light colors clothes. A tightly woven fabric can protect better than loosely woven clothing. Dry material is usually more protective than a wet cloth. Be even known that covering up doesn’t block out all the UV rays. 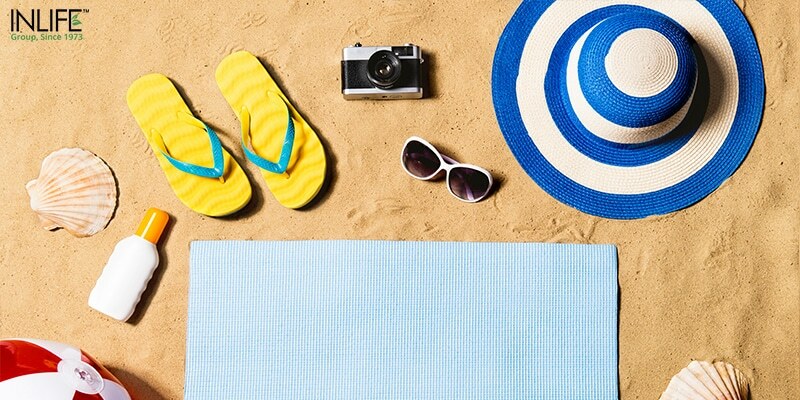 If you can see the light from a fabric, UV rays can get through, too. Many companies now make comfortable clothing, protects against UV exposure, lightweight even when they are wet. It tends to be more firmly woven, and some have special layers to help and absorb UV rays. These sun-protection clothes may have a label listing the UV protection factor (UPF) value on a scale of 15 to 50+. The more the UPF, the higher the protection from the UV rays. Some products, which are used as laundry detergents in the washing machine, may increase the UPF value of clothes you already have. They add a level of UV protection to the clothes without changing the color and texture. This can be helpful, but that’s not exactly clear how much it adds to protecting you from the UV rays, so it’s still important to follow the other steps listed here. It is really important to make the right choice when it comes to skin care. Any product that might affect the skin adversely is better avoided. Staying safe this summer by not only hydrating yourself and having cool foods helps keep your skin safe from harmful UV rays and protects your skin from being harmed. This entry was posted in Beauty, Cancer, Health, Skin and tagged Different Types Of UV Rays, Effects Of UV Rays, Negative Effects Of UV, Positive Effects Of UV, Types Of UV Rays, UV Rays.